The drawings in this math art slideshow were created as part of a friendly Logo-L contest in the spring of 1997. Each was created in 15 words (or fewer) of Logo! They are presented here with the permission of the participants. click here for all the pictures accompanied by Logo code and authors' credits. 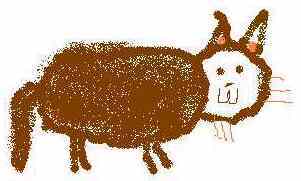 click here or scroll down for more drawing created with Logo! 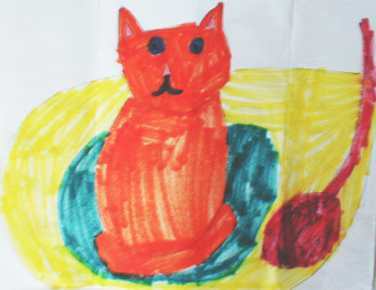 click here or scroll down to see some fun cat drawings! *See more Logo math art here! 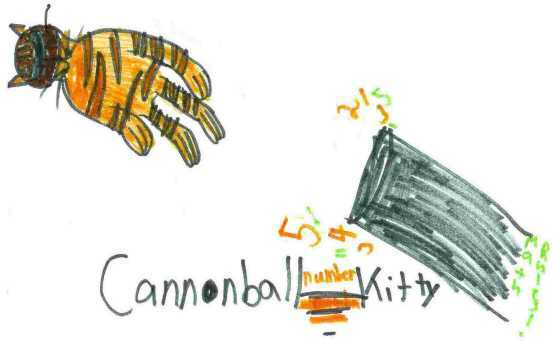 I think your company is neat, so I drew and colored a picture of a cat getting shot out of a cannon, because I went to the circus about a week ago and it inspired me with the human cannon. Here it is! 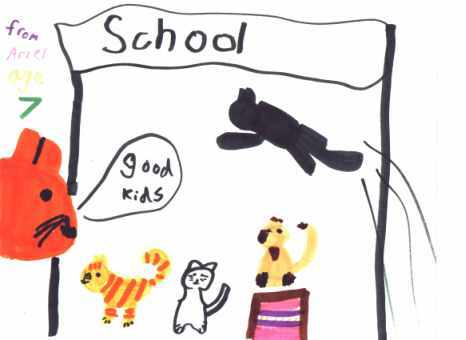 I made this picture of a cat who got an A Plus on his math test. I'ist he cute!? 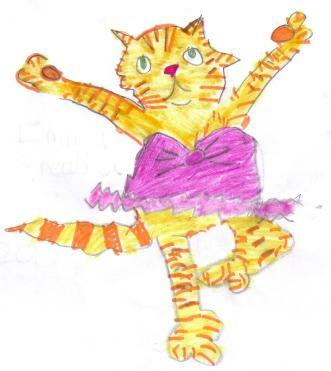 Click the link to see Jasmin's homemade greeting cards! 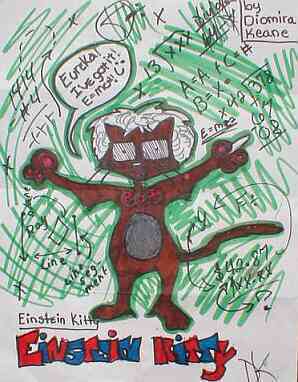 Einstein Kitty, by Diomira K.
This beautiful cat has been shared with Math Cats by Kimberly D. Bair, a home-schooling mom. Please click her name to visit her site and drop her a line to say thanks! 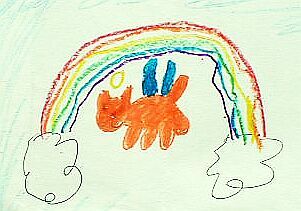 June 27, 2001 Please submit artwork for our gallery! or any other artwork created with math.